I’ve decided to take up a sonnet-writing challenge. 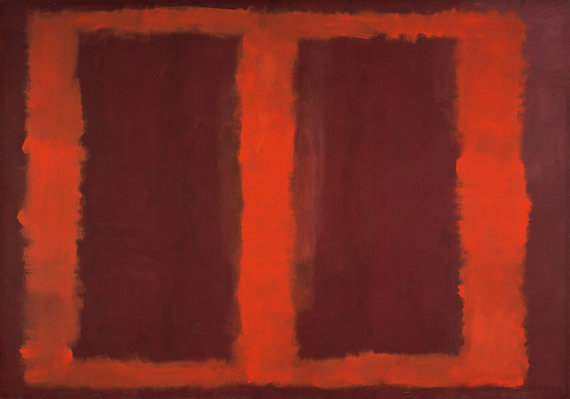 Haven’t written one in ages, and I actually don’t remember ever having written a worthwhile one. 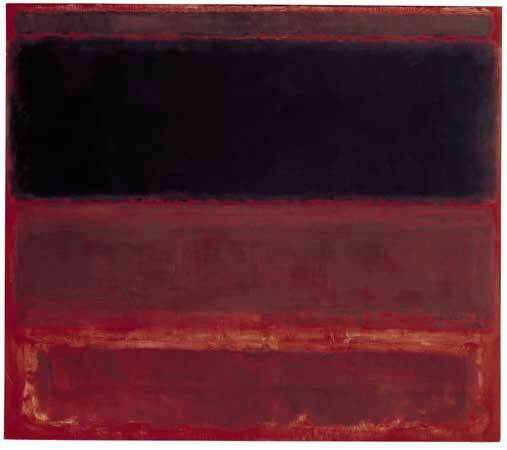 I’ve been mulling over this dream that has surfaced quite often ever since I could vividly remember my dreams: My house has become a pool, flooded with water, and I’m navigating the rooms as a swimmer, I’m breathing like a fish and I don’t know how. I realize at some point that the water has disappeared, or I’m not certain if there was water to begin with. In other similar dreams, I see fish floating about in the house as if it were a huge tank or as if I were snorkeling, except there is no water. 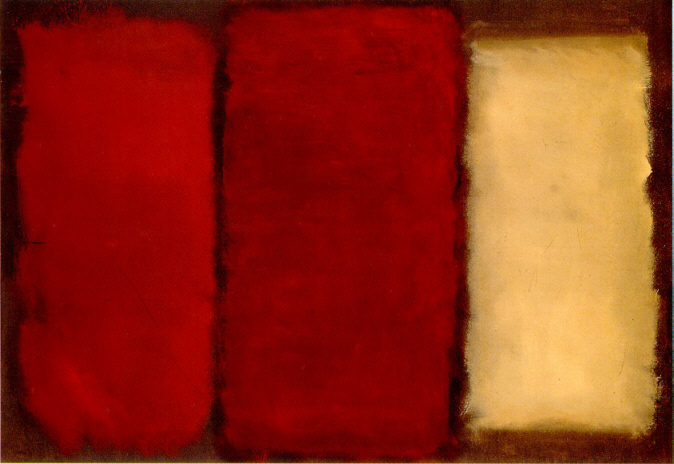 like darkened wings of an aquarium. fish come through the ceiling, muted song birds. if fish had ever dreamt their houses dry. 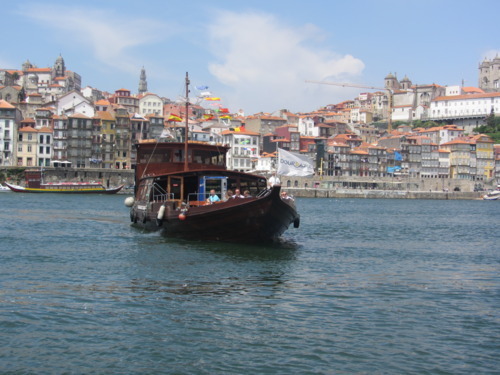 In Portuguese, it´s Porto, which translates as “port.” Apt name, as its coastal location and its river Douro lend to the city some beautiful views and beaches within a metro-ride away from the center. 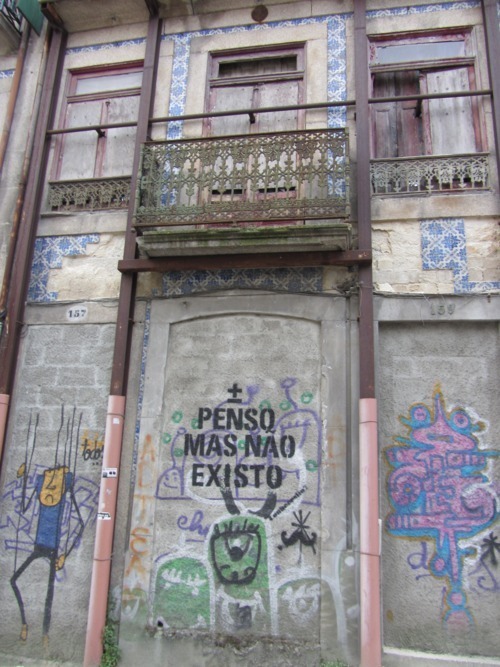 Even though “charming” is an over-used word to describe most small cities and towns in Europe, Porto really was exactly that, but with many ruined buildings and old grungy neighborhoods thrown in the mix. Adds to the historic charm. 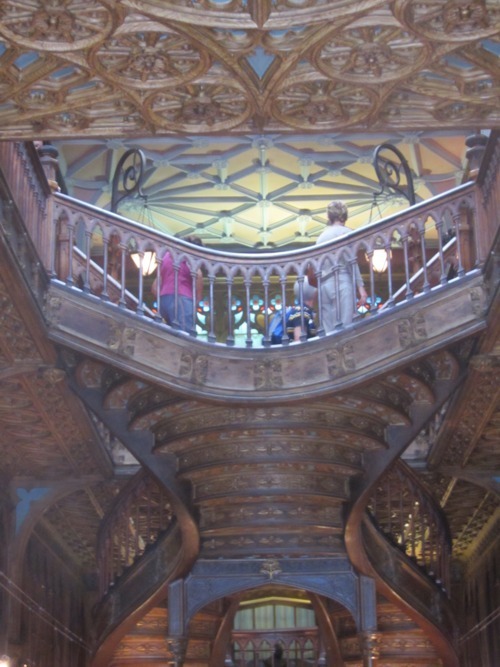 We finally managed to locate a world-famous bookstore, Livrería Lello, where some of the scenes from the Harry Potter movies were shot. One can see its resemblance to Hogwarts; its snaking ornate wooden staircase is its prize attraction. FOOOOOD. How can one ever write about a destination without mentioning the food? 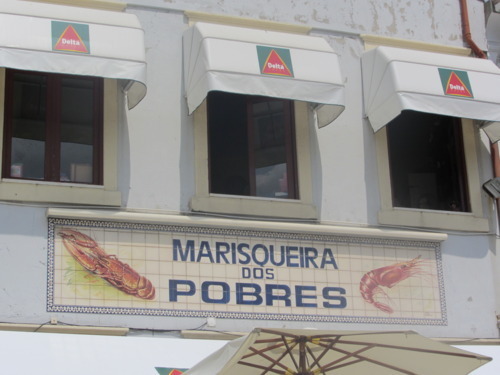 Especially Portuguese food, with its amazing seafood dishes — codfish, bass, sea barnacles, octopus, shrimp, you name it. 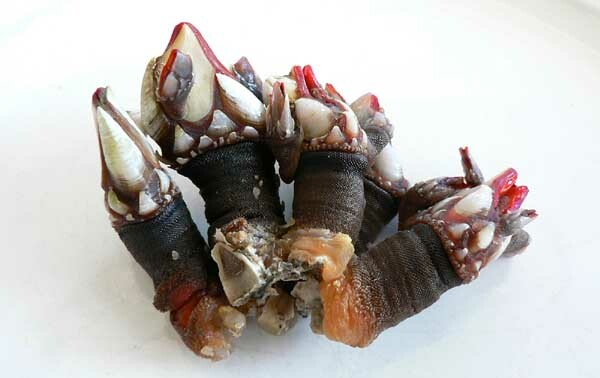 The salt taste of the sea makes it seem as if these sumptious creatures were caught only minutes ago. Also, good food is much cheaper here than it is in Spain. 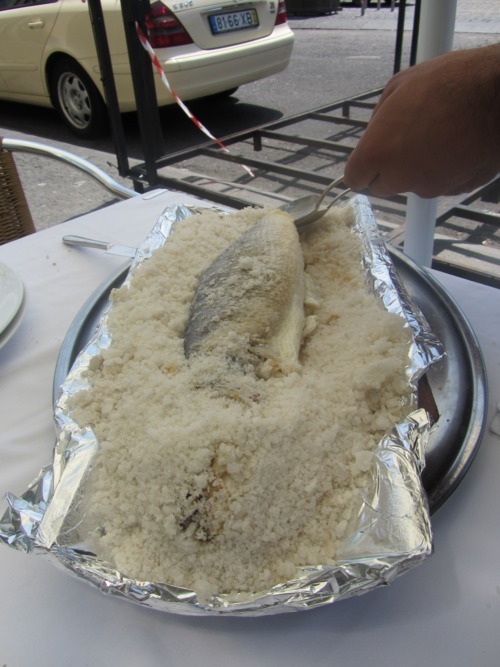 We decided to splurge and order the most expensive fish I’ve eaten ever, a huge oven-baked sea bass buried in sea-salt. 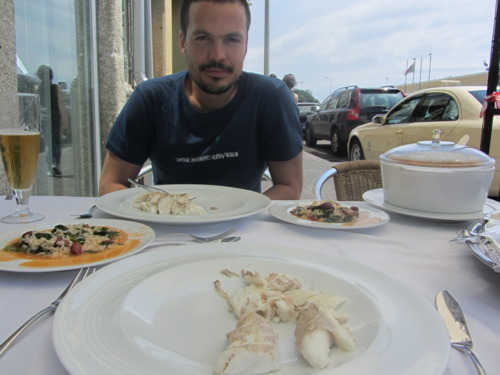 Even though the fish alone was 46 euros, the entire meal was actually pretty reasonable, considering it was also my first time trying barnacles fresh out of the sea and seasoned by mother nature. They look pretty weird but are mighty tasty. 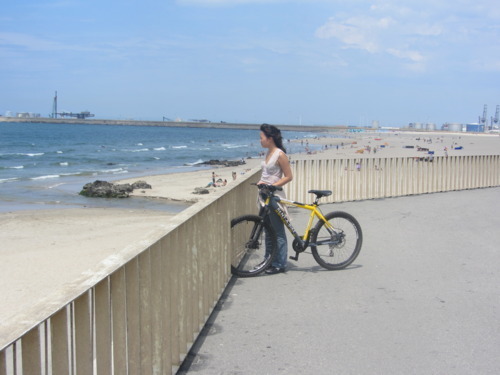 A trip to the beach and bike-riding. Sun, breezes, a long boardwalk, exercise… The weather was perfect, water was cold. 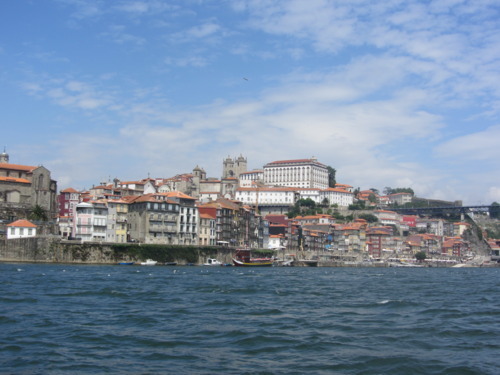 We went on a small cruise of the Douro and got to see some of the bridges connecting both sides of the city and the pretty houses overhanging the water. Also enjoyed just lounging on a bench by the riverside, watching the gondolas drift by, sipping on iced cafe con leite, observing the cable car going up and over the river. 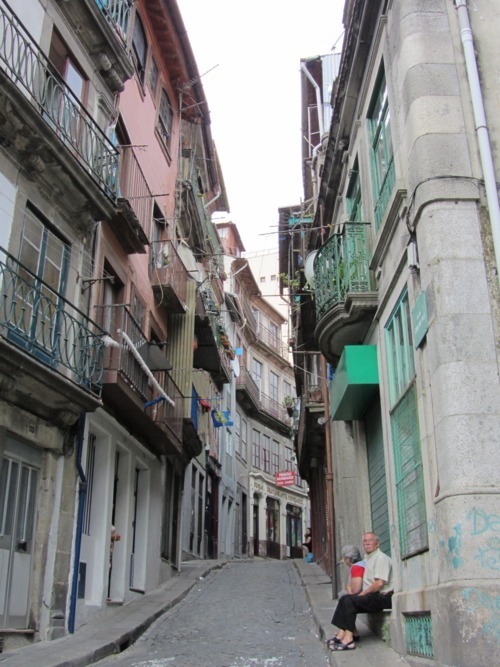 The notable difference between the Portuguese and the Spanish surprised me a bit, in our interactions with waiters, tourist information points, hotel clerks, and even strangers. I mean, they do live on the same península and speak similar languages. But the Portuguese seem much more reserved and professional and speak English exceptionally well. The Spanish generally give off much warmer personalities and love to chit-chat; it only took a funny comment or a thumbs-up from a Spaniard like Javi to get the waiters to crack a smile and show their neighborly hospitality. Porto’s also home to some interesting ceramic art. 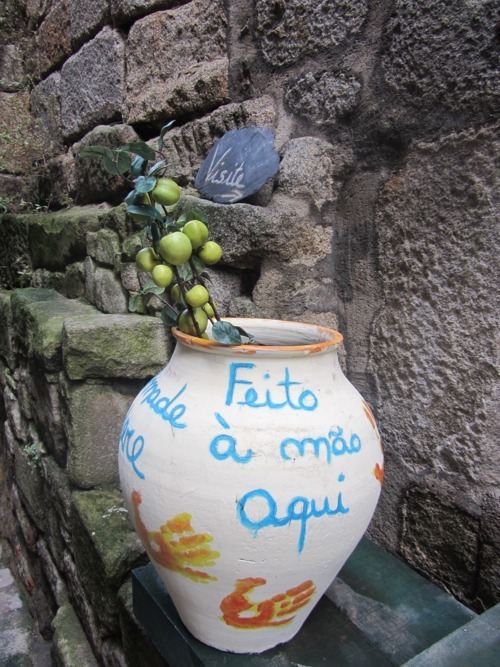 We popped into a small ceramics workshop in a little alleyway manned by a busy Portuguese lady. Some of the tile art was quite beautiful, with simple scenes of the city and its river. 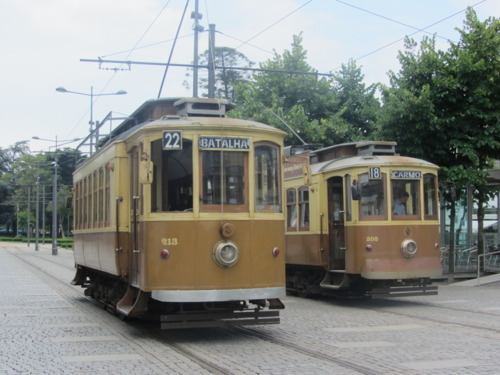 Who can resist a city where old trolleys still run regularly?